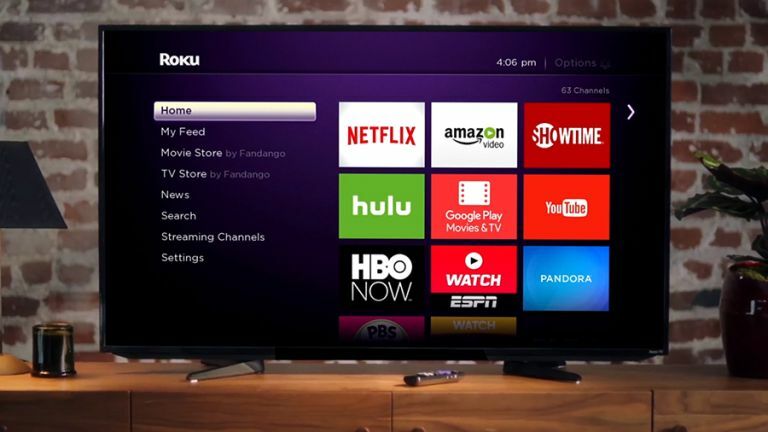 Even in a market now saturated with streaming dongles, media boxes and various other devices that plug into your television, the Roku line of products stand out: they're cheap, they're packed with all the main apps and services and they're easy to operate. As simple to use as they are, the HDMI sticks and set-top boxes that Roku makes still have one or two tricks up their sleeves - tricks which we'll let you into here. Read on for some expert advice on how to get the most out of your Roku kit, whatever your device model. There are a number of apps that you can install on your Roku to play media files stored on a computer somewhere on your local network, but Plex is probably the best choice - once you've got all your media set up on your main computer, the Plex app for Roku can stream it over your local network or even the web. It's like having your own personal Netflix. Plex does take a little effort to set up (you need to categorise and scan your media folders and install the media server client) so if you want something even simpler - and you have a Roku set-top box rather than an HDMI stick - then load your movies, music and photos on a USB drive, plug it into the back of your box, and install the Roku Media Player app. Instant replays are now a fixture in live sports events but they can be useful when watching movies and television shows too - there's always the chance that you're going to miss an important line of dialogue or look away from the screen at a crucial moment. The instant replay button on the Roku remote (a circular arrow) jumps back seven seconds. Some (but not all) of your installed streaming channels will automatically switch on captions during instant replay so you know exactly what was said. To get it set up, go to Settings then Captions and make sure Instant replay is ticked in the Captions mode section (you can configure other subtitle settings from the same screen as well). The neat little Roku remote you get with your player makes getting around the software interface a cinch but it's not ideal when it comes to entering text, and that's where the Roku apps for mobile devices come in: they're available free of charge for Android, iOS and Windows Phone. Set up is quick and easy and it only takes a minute to get connected. Once you have a mobile app installed and connected, you can use all the same playback controls that are on the Roku remote (play, pause, fast forward and so on), and of course use your phone's keyboard to enter text more easily. The apps also let you browse through the Roku Channel Store so you can add new streaming channels to your device. If you're running Windows 8 or Windows 10 on your laptop then you can mirror the display over to your Roku - get websites, photos, PowerPoint presentations or anything else you like up on the big screen easily thanks to the magic of your home Wi-Fi network. First of all, make sure that screen mirroring is enabled via the System menu in the Roku's Settings menu. You then need to add a wireless display as a new device in Windows. On Windows 10, open up the Settings app, click Devices, then Connected devices, and choose Add a device. You should see your Roku appear, so select it and the necessary files will be installed for you. Finally, go to System and Display inside Settings and click Connect to a wireless display. You're probably going to spend most of your Roku time inside the streaming channels you've set up but don't neglect the My Feed section of the main menu - it lets you subscribe to updates for your favourite shows and movies (whether past, present or future) and get alerts whenever there's new content available on your channels. With so many streaming services out there now, from iPlayer to Netflix, it can be difficult to keep track of what's available when, but My Feed makes life a little less complicated - if your favourite programme suddenly shows up on Now TV, for example, you'll be notified. My Feed can also be used to find out which streaming channels are showing which shows. There are various ways to customise the look of the Roku interface: you don't have to settle for the default layout of your streaming channels, for example - highlight the channel thumbnail you want to move, tap the Options button (an asterisk) and then use the arrow keys to move it. You can delete and rate channels from the same menu. Your Roku device also lets you change the theme of the interface if you find the purple and white look is getting a bit tiresome. Go to Settings and then Themes to find a few to choose from (we're fans of Daydream) - if you want more choices, pick Get more themes. There's also the option to set up a screensaver for your device from the Settings menu. You can buy and subscribe to a lot of content through your Roku box - it's one of the appeals of the device - but if you've got kids or housemates living with you then you don't necessarily want them ordering all five series of The Wire on your behalf. Head to your Roku account on the web and you can set up PIN protection for purchases on your device. Various other settings and features can be accessed through the web portal too: it lets you view and manage your existing subscriptions, for example, link to new Roku devices or delete old ones, change your account information (email address and password) and update your payment information. There's also the option to delete your Roku account.